I will be happy to add your names/date. Please include this information with purchase. 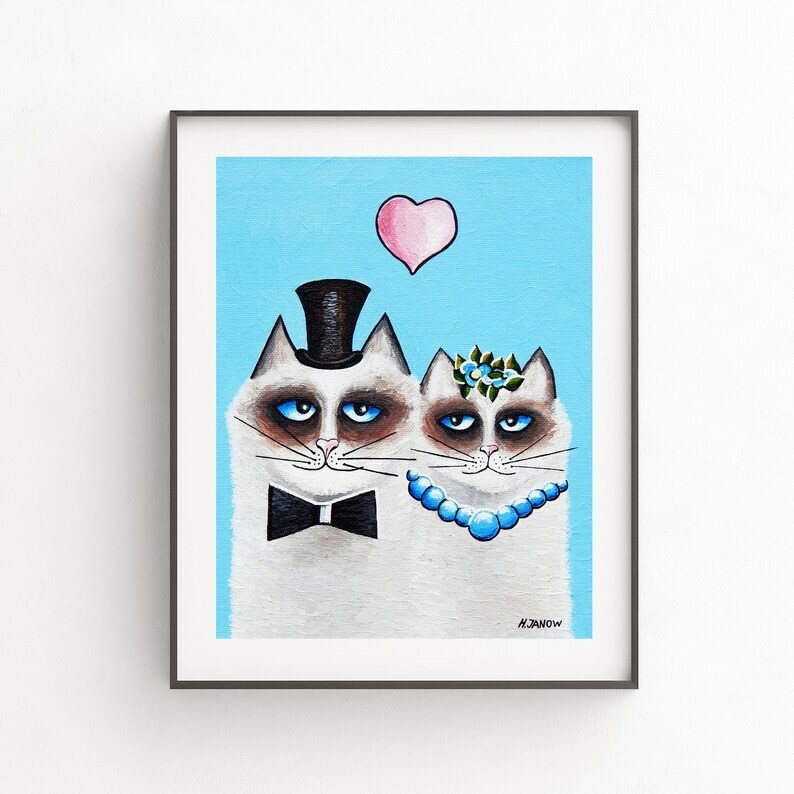 This fun, romantic art print features two adorable ragdoll cats in love. The print will add charm and character to any room in your house as well make a sweet Valentine's Day, Wedding or Anniversary gift. Great kids room decor! The print is a high quality reproduction from my sold original painting. Personalization is available upon request: names & date. * Signed and dated by me on the back. * Print only. Prints do not come with any frames or mats. * Prints are smudge resistant, long lasting, and fade resistant! Printed using Epson's archival ultrachrome pigmented inks, which are guaranteed not to fade for at least 100+ years under glass, on a 100% cotton rag, museum quality, acid-free, archival, bright white Velvet Fine Art Paper.